Movie Review - 'Mental' - P.J. Hogan's Latest Quirkfest Is A Little Mad For Its Own Good There's a talented group of actors running around in the Australian comedy Mental. But generalized manic mayhem cedes focus to the story of one slightly unsound family — which quickly escalates into one terribly messy movie. Human beings are imperfect — which is one reason we have the movies. The Australian comedy Mental, written and directed by P.J. Hogan — the man behind the 1994 hit Muriel's Wedding — is filled with troubled people who, like most of us, strive not for perfection but at least for some understanding. There's the neglected housewife and disorganized mother who flits around her yard impersonating Maria from The Sound of Music, the troubled daughter who thinks she hears voices but who may just be recollecting episodes of Lost in Space, the free-spirited, ill-tempered drifter who keeps a knife in her boot: In the world of Mental, zaniness is next to godliness. But in such copious quantities, it's also exhausting. And even though Hogan has some terrific actors to work with — Toni Collette and Liev Schreiber among them — it's never clear what he's trying to say or do with Mental. Does he mean to assert that freethinking people are sometimes mistaken for loonies? To acknowledge that while some people are, to use the movie's parlance, mental, they can be greatly helped by medication and acceptance? To argue that suburb-dwellers are generally closed-minded, judgmental and dumb? All of the above? None of the above? Mental heads off in so many directions at once that it's hard to follow along — and even harder to laugh with it. That Rodgers & Hammerstein-obsessed housewife, Shirley Moochmore (Rebecca Gibney), is married to Barry Moochmore (Anthony LaPaglia), the mayor of a provincial coastal town called Dolphin Heads. Barry couldn't be less interested in his wife or his five young daughters: He's a cheating liar who stays away from home for weeks at a time, and he can't even be bothered to remember his kids' names. But he's nonetheless dismayed when, with an election coming up, he has to send his wife away for a few weeks of psychiatric care. Enter Collette's Shaz, a foul-mouthed hitchhiker with a pit bull trotting along faithfully at her heels. Barry picks her up and deposits her in his home to look after his wayward daughters, where she becomes a sort of Mary Poppins in sequined leggings and a scruffy jacket. Shaz assures the girls that it's OK to be individuals (even as she recognizes that one of them truly does need help) and goes out of her way to shock the family's uptight neighbor (played by the fine New Zealand actress Kerry Fox, wasted here). 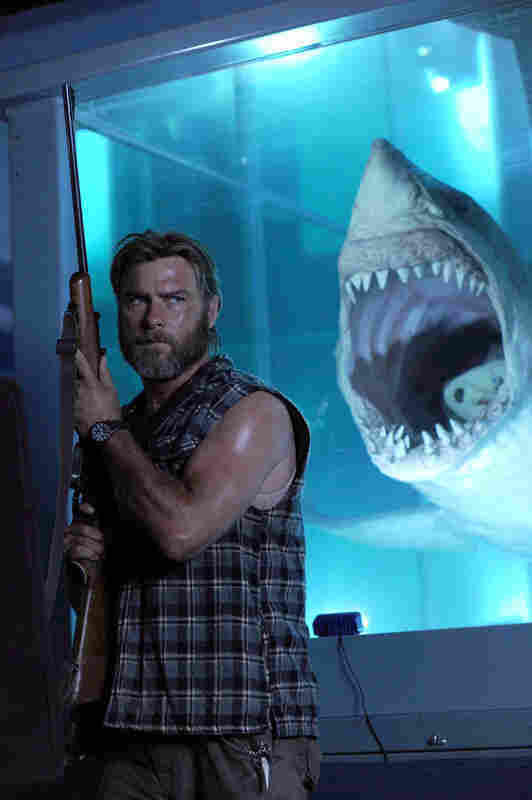 Shaz is also running from her own secret past, which is somehow entangled with that of a crusty, scarred local shark hunter, played by Schreiber, who looks as if he doesn't know what movie he's wandered into. By the time that plot line has been resolved — to the extent that it ever really is — Mental, rendered in hyperstylized, headache-inducing candy colors, has already worn out its welcome. Hogan seems to be going for offbeat nuttiness here, with flinty sparks of serious intent. But the story is held together with so many flimsy threads that it practically disintegrates before our eyes. Collette, who made her breakthrough in Muriel's Wedding, tries valiantly to give her cartoonish character some shading and dimension, but nothing takes. Shaz is brash and brassy on the surface with layers of fragility below, but her frailty comes as neither a surprise nor a relief; it's really just business as usual for this type of character, and not even a gifted actress like Collette can freshen the transformation. Mental strives to make a special case for individualism over conformity, but it's so scattershot that it makes you long for some good, old-fashioned organization. It's a head case unto itself.